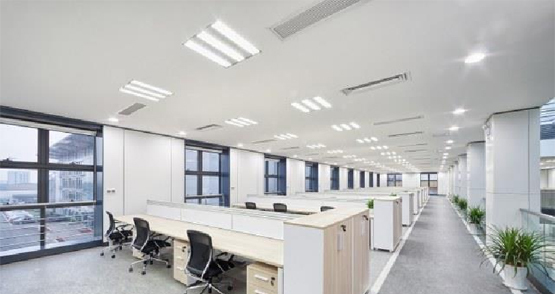 Ensuring workplace lighting is selected and maintained at optimum levels can significantly affect the health, safety and comfort of building occupants, and creating more optimal lighting can improve the wellbeing of workers and productivity. Choices of lighting systems and fittings, or intelligent use of available natural light, can also provide significant savings in energy use and associated costs or environmental impacts. Low lighting levels may present an immediate risk to safety for moving around the workplace, operating plant and machinery or, in the case of Emergency Lighting, escaping during fire or power outages. Less than optimal lighting levels at workstations can cause building occupants to be generally less alert and feel fatigued, causing or exacerbating health issues. Excessive or harsh lighting may cause eye strain and headaches, general discomfort, and lead to workers spending more time away from workstations. Excessive light in particular colours has also been shown to affect moods and eating or sleeping patterns. BENSS provides comprehensive workplace lighting audits, in accordance with Australian Standards, Regulations and compliance codes. Our experienced lighting consultants also assess the workplace for a broader range of lighting issues, including computer screens, lighting tones, reflected light, mood effects and energy efficiency, through physical site assessment and consultation with workers. We assist our clients by providing practical, cost effective and building specific recommendations to improve the health and wellbeing of building occupants, increase productivity and reduce energy usage. We can advise on lighting systems and fittings, workplace layout, and control of natural light sources.